Looking for a classic Supreme hoodie? Here’s how to get a genuine Box Logo hoodie, or a cheap replica. No one can deny how influential and popular Supreme has become over the years. From record-breaking and best sell-out times to knockout collaborations, Supreme continues to be one of the most sought-after streetwear brands around. The Supreme Box Logo has become one of the most popular street wear icons of the decade. The Supreme box logo is the iconic design by the brand. It is a popular red and white box logo. The Supreme box logo is also commonly known as BOGO. 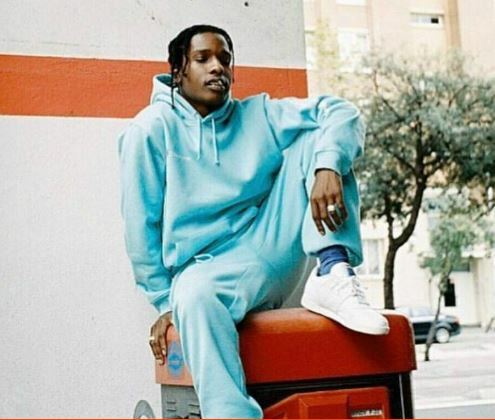 One of the top items from the brand that contain the Supreme Box Logo are hoodies. They are referred to as BOGO hoodies. Which are the Most Popular Supreme Box Logo Hoodies? The classic Supreme Bogo in grey. The most popular version? The classic hoodie in white, gray or black. It’s as simple as that. Supreme box logo t-shirts and hoodies are two of the most popular items from the brand. Apart from these two, jackets, caps, backpacks, etc. are also in high demand. But still, regardless of many hyped pieces over the years, including collaborations with Comme Des Garçons, Nike, Bape, Vans, etc., the box logo hoodies and t-shirts will probably always will be the most iconic Supreme items. How Much is a Supreme Box Logo Hoodie? Supreme is a hyped up brand. And it’s not cheap. A Supreme Bogo hoodie costs roughly around $148, excluding the $10 flat rate shipping fee. Prices usually depend on the piece because they are sold at 10-30 dollars higher prices if it’s a collaboration. A cheap knock-off from China might go for as low as $10, and a really good, 1:1, perfect replica is usually around $40. What’s the Difference Between Legit and Fake Supreme? Since the brand is quite popular and its products are in high demand, it is no surprise that there are replicas. Mostly, the replicas are sold through online stores i.e. Taobao, etc. They are relatively cheaper, as one can expect. 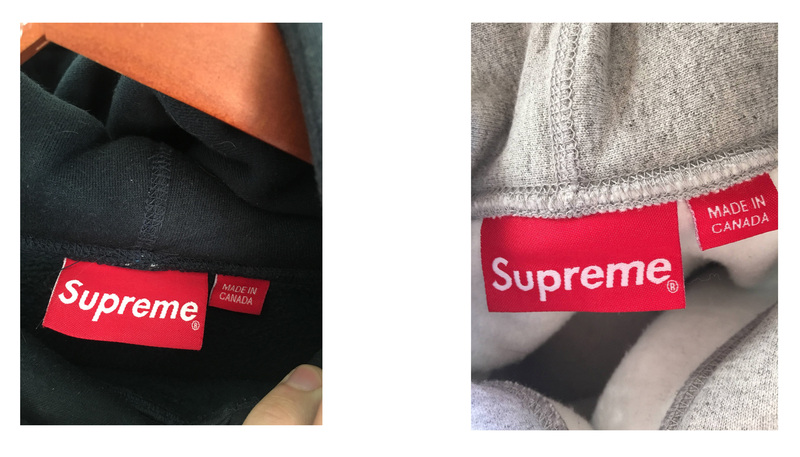 While the replicas look just like their legit Supreme versions, there are differences between them. 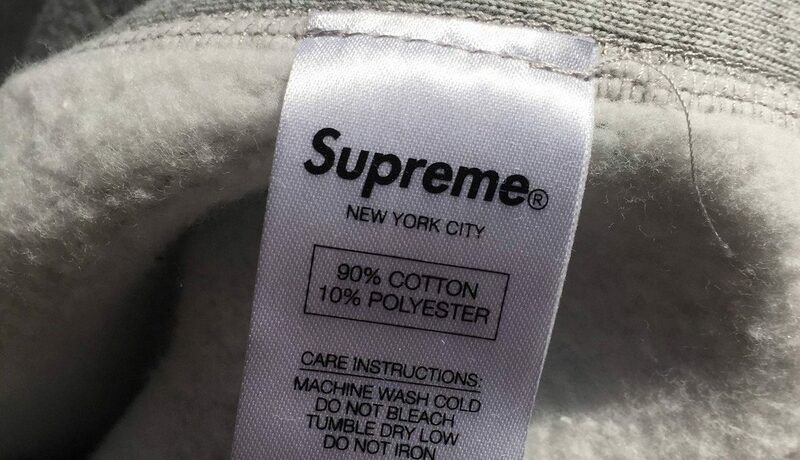 Depending on the specific item, there are many tell-tale signs that can help you identify whether a piece of Supreme clothing is real or fake. Take graphic t-shirts for example, they have a distinctive neck label that has few traits. These include a contrast thread at the edge of the label, a hologram of Supreme on the reverse that can only be seen under high level of brightness, a contrast thread at the edges, and some other specific details such as logo positioning and letter placement. Many replicas get one simple thing wrong, spacing between the letters Supreme. 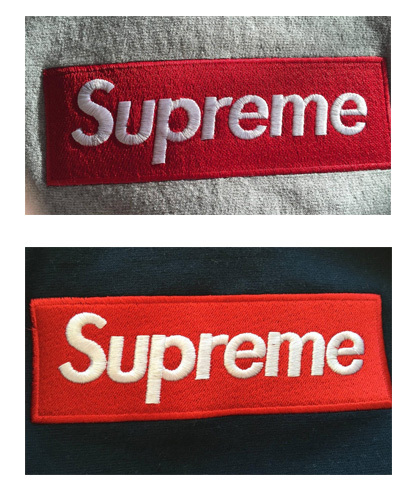 In the above example you’ll notice there’s slightly less spacing, and more crammed lettering, in the bottom, fake Bogo. Have a look, or ask for photos of the hoodie interior’s fleece texture. 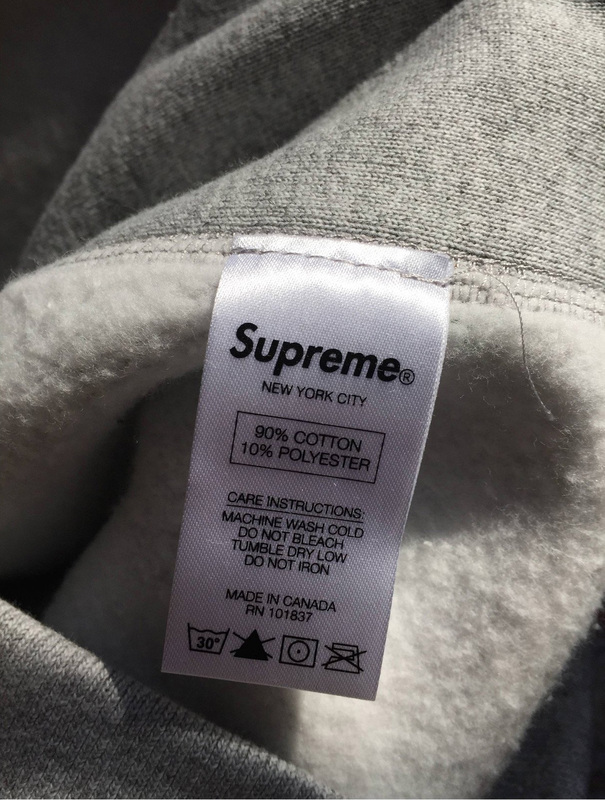 You might need to ask Supreme pro, but often you can tell by the quality of the fleece if it’s legit or cheap materials. But the overall takeaway is that most fake Supreme hoodies are made of low-quality material which often feels cheap. And they won’t survive normal wear and tear, or even being washed. Caution: It’s very difficult to tell some fakes from retail versions. A few select rep makers are really good at what they do. Luckily there are pros out there. You can simply ask on Reddit, or Instagram Supreme fans. 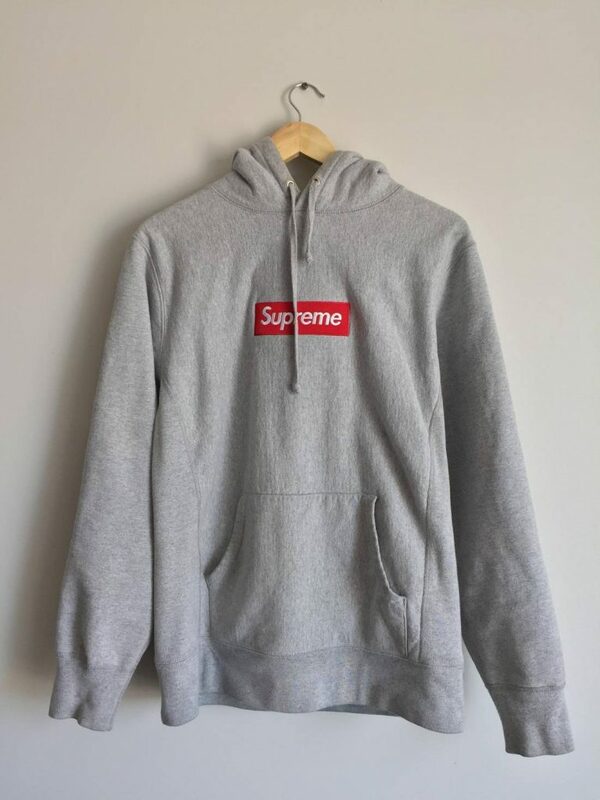 Where Can I Buy Legit Supreme Clothes and Hoodies? Buying from the Supreme shop is the most obvious route; however, it is by no means the easiest. One of the biggest challenges of buying from a Supreme ship is that you have to wait for a long time to even approach the door because there are long lines of customers, especially when a new item is launched. If there is no Supreme shop in your area, then buying from Supreme online store is the only other official option. When buying from Supreme online store, you won’t have to struggle with obstacle courses or long lines. But there may be some other challenges. There are several places where you will find Supreme resellers. Each of those resellers have their own pros and cons. eBay: You will often find eBay scalpers selling the latest store releases. If you didn’t manage to queue up at the store, and really, really want it – eBay is your place to go. Grailed: Grailed claims to verify all Supreme items sold as legit. It’s not full proof, but it’s much more reliable than other resellers. On Grailed, prices of items are listed for a set price by the seller. Depop: Depop is another platform where you will find Supreme clothing for sale. This relatively new platform is somewhere between Instagram and eBay as it allows people to create a profile and sell their product that is shown on an image grid that resembles Instagram. Forums: There are several forums and message boards where people buy and sell Supreme clothing. One popular site in this category is KanyeToThe. Facebook groups: There are many popular Facebook community groups where you will find success if you are looking to buy a certain piece of Supreme clothing. Where can I buy Supreme replicas? China is your number 1 source here. Alibaba, iOffer and Taobao all carry low-quality, cheap Supreme. But if you scroll through our Supreme section you’ll find some really good pieces. Taobao can be a great place for perfect replicas, you just need to know where they are. Luckily we carry a lot of reviews and impressions, so make sure to browse around. 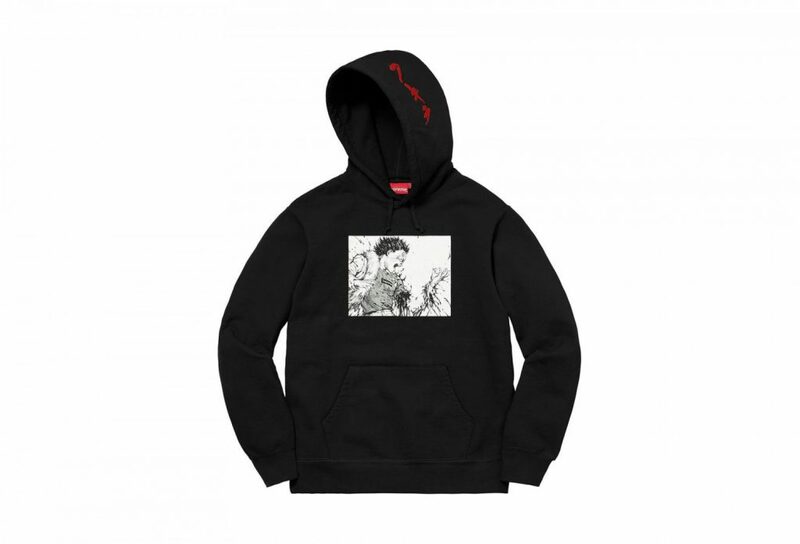 Supreme Hoodie by rep maker TeenageClub ($50) – 10/10 rating. Supreme Hoodie by MIRROR ($45) 9/10 rating. Supreme Hoodie (Red, Cream colors by rep maker TeenageClub ($50) – 9/10 rating. Supreme X Akira Hoodie by Musashi ($50) – 10/10 rating. Supreme X Champion by TeenageClub ($50) – 10/10 rating. Try to avoid iOffer, Alibaba or even Taobao unless you’ve seen independent reviews of the specific store or items. UNHS.net is a website, reselling Taobao items and is inconsistent in terms of quality. Don’t trust a seller on eBay, a forum or Facebook. Most Supreme items are fake. Always make sure they are well known sellers, with trustworthy reviews and recommendations. You need to decide if you want that legit, guaranteed high-quality hoodie – Or spend the time to find the best fake for your money. All we know for sure, Supreme is here to stay. Thanks, i was intending to go to TaoBao for my needs, i’ll reconsider now.